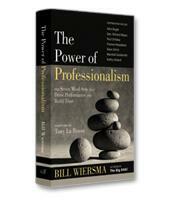 Professionalism is unique; it's the ladder upon which all other organizational virtues mount. The greater the quality of professional ideals within an organization, the greater the likelihood stakeholders will have confidence in it. 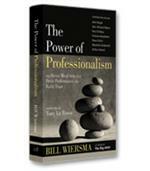 The audio recording, video recording, slides and the 8-page book summary of The Power of Professionalism will be available to listen to or download from your Online Library immediately after check-out.